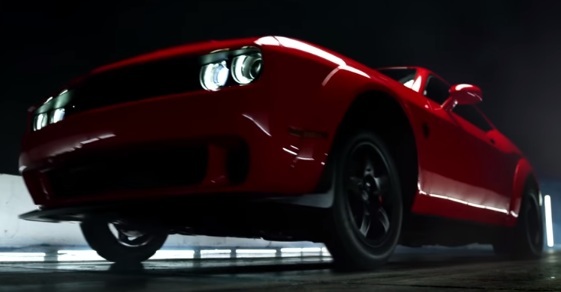 Dodge reveals “the truth” about the Challenger SRT Demon in its latest commercial. The truth is, not everyone can handle 840HP and going ¼ mile in 9.65 seconds, and that’s precisely why they built it. “We use words like honor, code, loyalty. We use these words as the backbone of a life spent defending something! You use them as a punch line. We have either the time nor the inclination to explain ourselves to a man who rises and sleeps under the very blanket of the freedom that we provide and then questions the manner in which we provide it. We would rather you just said “thank you” and went on your way. You don’t want the truth because deep down in places you don’t talk about at parties, you want us that road. You need us on that road. You don’t want the truth. You can’t handle the truth!” says the voiceover and then the secret is revealed by the onscreen line “Fastest Car Ever”. The spot ends with the demon logo and the message “Domestic. Not Domesticated”.